I’m an angler. My earliest memories are of fishing, and there are few things I’d rather be doing than drifting in a canoe on a quiet pond casting flies for fish — whatever species is willing to accommodate me. 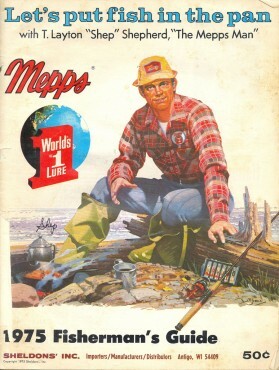 Even though my preference today is the fly rod, when I was a lad, my favorite fishing lure was the Mepps spinner. Made in Antigo, Wisconsin, Mepps spinners were (and still are) a pretty good choice to tie to the end of your line if you wanted to catch fish. The company’s annual catalog, timed to hit my mailbox when spring fever was at a fever pitch, featured pictures of regular folks holding fish the’d caught with a Mepps. As a boy growing up in New England, apart from trips to Nova Scotia to visit my grandparents or to summer Bible camp in the Adirondacks, I never ranged very far from home. I collected discarded copies of Field & Stream and Sports Afield from my town’s library and devoured the articles written by angling royalty, but the photos in the Mepps catalog were of regular folks — including kids like me — whose catches were as impressive as those I saw in the hook-and-bullet books. Those photos of regular folks made clear to me the prospect that I might one day travel to faraway, wild places to test my angling mettle against fish like northern pike, muskellunge, Pacific salmon, and others. 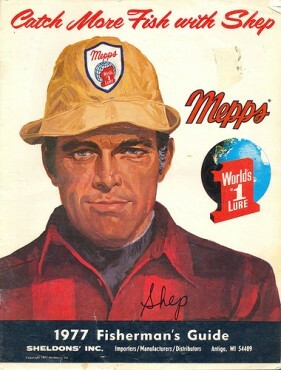 I was fiercely loyal to the Mepps brand, and a big part of the reason was T. Layton “Shep” Shepherd, The Mepps Man. You see, in addition to photos of real people with real fish, the Mepps catalog included personal stories by Mr. Shepherd recounting his trips to Alaska, where he used his spinners to catch fish I could only dream about — exotic fish that lived far more than a bike ride away from my home in tiny Oakham, Massachusetts. The back cover of the catalog always included the request, “Squirrel hunters: Don’t throw away those tails!” and an offer to take said tails, the fur of which was used to dress the spinners’ hooks. Whether it was his picture on the cover of the catalog, his stories inside, or the entreaty on the back, it felt to me like I knew T. Layton “Shep” Shepherd. And so, one winter, with ice-out and open season an impossibly long way away, I wrote him a letter. With the sloppy cursive of a preteen boy, I shared my own stories of fishing with Mepps spinners. It was my way of saying “Thank you” to Mr. Shepherd for his part in fostering my love of the sport. And wouldn’t you know it — he wrote me back. T. Layton “Shep” Shepherd, globetrotting sportsman and president of a world famous tackle company in faraway Antigo, Wisconsin, responded to my letter. In fact, he responded to every one of my letters (encouraged by the first reply, I wrote a lot more). Mr. Shepherd’s letters weren’t form letters with a boilerplate “Dear Mepps Fan” salutation, but correspondences specific to the letters I’d written. Each was signed “Shep” in ball point pen. He didn’t think it beneath his station to write a kid like me. When I wrote the original version of this post earlier this year, in a fit of nostalgia, I sent an email to a generic email address at Sheldons’, Inc., the company that makes Mepps, pointing them to the post, along with a thank-you to a man I assumed had passed away years ago. At 9:36 A.M. the next day, I got a reply. “Thanks for the great memoir of your younger days. It brought back memories for me, too. So much has changed since then,” the email began, and I felt the same joy I did as a young boy tearing open an envelope imprinted with the Mepps logo. You see, that email was from T. Layton Shepherd. Seems I’d confused him with Mepps’ founder Todd Sheldon in reporting that he’d passed away. Indeed, “Shep” is still very much alive and still very much a part of Mepps. What a delight to see that name appear in my inbox! There was some history and new information passed along. Shep was inducted into the Freshwater Fishing Hall of Fame last year. And, yes, he handled his own correspondence. Of course he did. And still does. An early draft of my post included an expression of my regret for having missed the opportunity to thank Shep for taking the time to write to me and help instill in me a deeper love of fishing. How wonderful to hear back from the man and to be able to rectify that oversight! I replied to Mr. Shepherd immediately and thanked him directly. I also told him that his letters were a lesson to me that I’ve tried to apply in my own life. 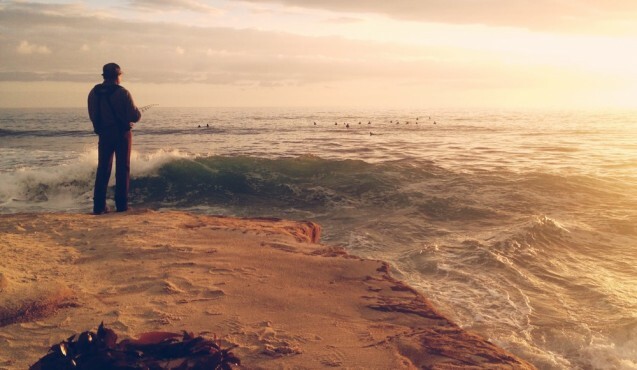 Sure, we’ve got to earn a living, but it’s the people we meet and the relationships we make that matter most. I don’t want to overthink the matter, but at a time when there’s so much emphasis on behavioral targeting, marketing analytics, and other highly technical approaches to building customer and candidate bases, the enduring lesson of my experience with T. Layton Shepherd is that there is no substitute for personal passion.